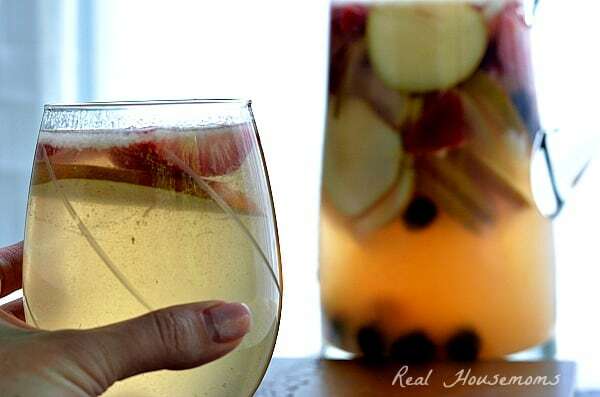 Pear and Berries Sangria is full of fruity flavors and the perfect refreshing cocktail for the summer! When we moved out here to Oregon from Arizona we didn’t do it alone. We have friends that came at the same time. The guys both work for the same company and our moves were job transfers. Not only did we move at the same time but they are just under a mile up the street from us! It made the move a lot easier. There was a month of Casey working up here while I packed up the house back in AZ and they let him stay with them. Now they’ve bought their new house and they’re all settled in, so they through a housewarming party. We had a lot of fun and you know I had to bring some tasties to the party. 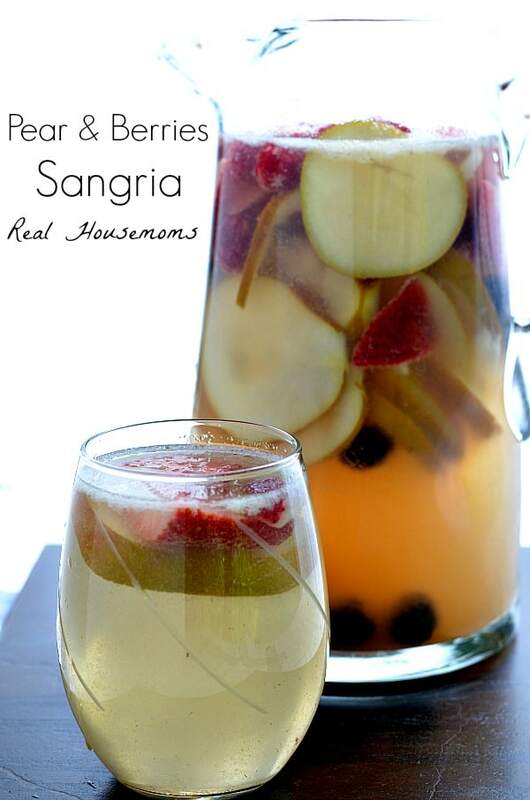 like this Pear and Berries Sangria! I really love entertaining with a good sangria. They’re crowd pleasers and it’s always a good idea to have a pitcher drink so that guests can help themselves. There’s no way you could go wrong with fruit that’s been soaking in a sweet wine overnight. I mean, when you can have a great drink and then there’s a tasty snack you’ve got a winner!